I created a minimal Ubuntu 13.10 Saucy Salamander image, forked from the official XFCE Hard Kernel release, with a core suite of applications for an energy-efficient netbook/desktop computer optimized for speed and performance. Applications: Firefox, Chromium, Xine, XBMC, Gimp, Transmission, Filezilla and Oracle JDK 8. Autologin is enabled and boots directly to a single-user Lightweight X11 Desktop Environment (LXDE) running Xfce desktop. If you enjoy my contributions to the Hard Kernel community, please consider donating an amount of your choice via the link in my signature. 1. Resize the "rootfs" partition to fit your SD card. This is best done on another Linux system using the GParted utility. 2. Set your time zone using "sudo dpkg-reconfigure tzdata", or press the Up arrow in the Terminal window on first boot. 3. Set your language using Preferences -> Language Support. 1. To overclock to 1.92GHz, type "sudo gedit /etc/rc.local" in Terminal and remove the "#" from the beginning of the line that starts with "echo 1920000". 2. Firefox has the IcedTea7 plugin installed for Java browser applets, and uses the built-in HTML5 player which is not compatible with Flash. Chromium has the Pepper Flash plugin installed for viewing Flash videos. Both Chromium and Firefox have the Adblock Plus add-on. The default browser is Chromium. 3. All upgrades and updates have been run using aptitude, apt-get and synaptic. 4. All orphaned and obsolete packages have been purged, including the original kernel. 5. Lots of quality-of-life tweaks, such as setting folder preferences to List View, removing the Battery icon from the Status bar, setting the Chromium and Firefox preferences to their highest privacy settings, and installing wallpapers (/usr/share/wallpapers). This image is a light-weight version of Dream Machine that boots to a desktop in 14 seconds, uses 150MB of memory, and requires only 3.5 GB of disk space. The Mali 3D acceleration achieves a glmark2-es2 score of 145 without overclocking. XBMC performs best when the resolution is set to 720p, which is done by typing "cp /media/boot/backup/boot-hdmi-720p60hz.scr /media/boot/boot.scr" in the Terminal window before rebooting. Vino VNC server may be started via SSH by typing "vino" after enabling Desktop Sharing using "vino-preferences". Last edited by robroy on Fri Jan 03, 2014 2:08 am, edited 50 times in total. Awesome, I'll probably use this as a base for my robotics update. 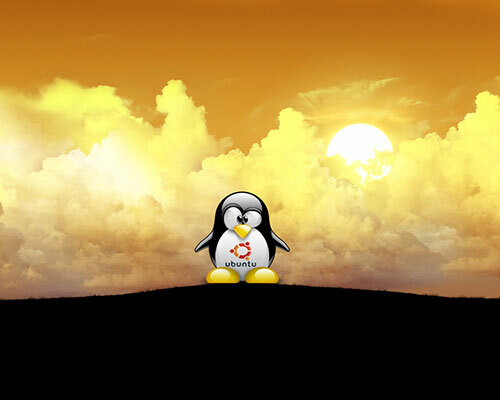 Very nice & full featured Linxu distro! I think this is the most powerful & useful OS image in the ARM world. murrman wrote: Awesome, I'll probably use this as a base for my robotics update. That's great, @murrman, your Robotics images are very popular! odroid wrote: Very nice & full featured Linxu distro! That is very nice of you to say! Hey random though any chance you can post the md5 / sha hash of the images ? Denash wrote: Hey random though any chance you can post the md5 / sha hash of the images ? Thanks for making good image. I'm new to this environment, and was wondering if anyone has a tip to set up typical keyboard shortcuts, e.g. cntrl+alt+t for terminal, etc. edit: preference files cannot seem to be modified under user odroid, but user root has default keyboard shortcuts setup. The default window manager is Metacity, which does not have pre-configured hotkeys. The root user configuration uses OpenBox. If you switch the odroid user from Metacity to OpenBox, you will get the default keyboard shortcuts such as Ctrl-Alt-T for Terminal. 3. Change "metacity" to "openbox-lxde" and press OK.
5. Enable the "Show menus provided by window managers when desktop is clicked" option. 6. On the next login, shortcuts will be enabled, and the OpenBox menu will display when right-clicking the desktop. Last edited by robroy on Sat Oct 05, 2013 1:31 am, edited 1 time in total. I did notice they were using different window managers, thanks for that info and instruction! Hi! Just tried this image and got a problem. I can't drag my language in Language Support. With "odroid" user system goes to login screen. With "root" just nothing happens - my language is in the bot of the list and can't ve dragged. Is there any solution? Zin-Uru wrote: Hi! Just tried this image and got a problem. I can't drag my language in Language Support. With "odroid" user system goes to login screen. With "root" just nothing happens - my language is in the bot of the list and can't ve dragged. Is there any solution? Try reflashing the image. My original copy reorders the languages as the odroid user without dropping to the login screen. Last edited by robroy on Sat Oct 05, 2013 11:34 pm, edited 1 time in total. Maybe the problem is in changed with passwd command password for odroid user? How can I change back to "odroid" pass? Passwd says it's too short. Zin-Uru wrote: Maybe the problem is in changed with passwd command password for odroid user? How can I change back to "odroid" pass? Passwd says it's too short. It's easier to reflash the image than repair it. I succeded in changing pass back to odroid but it didn't help. But reflashing worked. Strange behaviour. Bug is still preset. But I found the reason. It appears after the first launch of XBMC. I'm absolutely sure - redownloaded and rechecked image, tried two different SD cards. The bug happens with some operations in system not only when try to change Locale. For example you can see it when open archive in Xarchiver and try to extract any single file from it. Zin-Uru wrote: Bug is still preset. But I found the reason. It appears after the first launch of XBMC. I'm absolutely sure - redownloaded and rechecked image, tried two different SD cards. The bug happens with some operations in system not only when try to change Locale. For example you can see it when open archive in Xarchiver and try to extract any single file from it. Sorry, this isn't reproducible, and it would be very unusual for XBMC or any other application that is not running as root to influence system functions as you're describing. You may have a corrupted download. Please use the .md5sum file found in the same directory to verify the integrity of your .img.xz file. It would also be helpful if you knew what error is being reported. Review ~/.xsession_errors for anything unusual, but please don't post your whole log, just the section relevant to the crash. If others are having a similar problem with X server crashes while using System Settings or Xarchiver, I will re-copy the image and post a new one. I recommend that you switch to the Dream Machine image if you are having further issues. ~/.xsession_errors or ~/.xsession-errors - no such file. I have already tried Dream Machine but it have some bugs (icon white boards in Unity for example) and I couldn't set Samba on it which is very important for me. So would be great to find the solution for Whisper. I also have an USB hard drive with NTFS file system connected to my ODROID and eMMC module with Android installed if it's useful information. I run Whisper from 16Gb SD card. And don't have said bug before the first run of XBMC. Zin-Uru wrote: md5 is correct. I recommend re-downloading the image, otherwise there's not much you can do without an error log, as it sounds like you have a corrupted file system or other fundamental error. If you're new to Linux, it will be challenging to go through the /var/log/kern.log file looking for the crash. The only other suggestion that I have for you is to try unplugging the eMMC module and USB hard drive while using the SD card as all of the Hard Kernel-based images have the same UUID. I also posted a new version of Dream Machine yesterday which is verified to have Samba working using system-config-samba as the GUI. Keep in mind that Unity is the least desirable desktop environment for stability and performance on the ARM platform because it is OpenGL based. The same version of LXDE used on Whisper is also available as a desktop environment option in Dream Machine. If you continue to struggle with stability, you may want to switch back to the official HK build of XFCE from which my images are forked. Is anyone else able to reproduce @zin-uru's issue? Last edited by robroy on Sun Oct 06, 2013 4:01 pm, edited 1 time in total. The simpliest way to get it on my ODROID is install xtightvncviewer and try to connect to the server. So now I can see the bug isn't connected with XBMC (I was wrong before). Video recorded with fresh OS install. So if it's equal to yours it can't be corrupted file system cause two different SD cards (Transcend and SanDisk) have same results. And many operations in Whisper works well such as browsing web, making program from source, watching videos with XBMC etc. 3. I'll try without eMMC later cause my ODROID is in case that should be disassembled to remove eMMC. [    14.112] (==) Using config file: "/etc/X11/xorg.conf"
[    14.113] (==) Using system config directory "/usr/share/X11/xorg.conf.d"
[    14.137] (==) No Layout section. Using the first Screen section. [    14.138] (**) |   |-->Monitor "<default monitor>"
[    14.138] (**) |   |-->Device "Mali-Fbdev"
[    14.138] (==) No monitor specified for screen "Default Screen". [    14.222] (WW) The directory "/var/lib/defoma/x-ttcidfont-conf.d/dirs/TrueType" does not exist. [    14.222] 	Entry deleted from font path. [    14.222] (==) ModulePath set to "/usr/lib/arm-linux-gnueabihf/xorg/extra-modules,/usr/lib/xorg/extra-modules,/usr/lib/xorg/modules"
[    14.222] (II) The server relies on udev to provide the list of input devices. [    14.224] (II) LoadModule: "glx"
[    14.342] (II) Module glx: vendor="X.Org Foundation"
[    14.342] (II) LoadModule: "mali"
[    14.359] (II) Module mali: vendor="X.Org Foundation"
[    24.781] (**) MALI(0): Option "DRI2" "true"
[    24.781] (**) MALI(0): Option "DRI2_PAGE_FLIP" "false"
[    24.781] (**) MALI(0): Option "DRI2_WAIT_VSYNC" "true"
[    24.781] (**) MALI(0): Option "UMP_CACHED" "true"
[    24.781] (**) MALI(0): Option "UMP_LOCK" "false"
[    24.781] (**) MALI(0): Option "G2D_ENABLE" "false"
[    24.782] (II) MALI(0): Using default gamma of (1.0, 1.0, 1.0) unless otherwise stated. [    24.782] (II) Loading sub module "fb"
[    24.782] (II) LoadModule: "fb"
[    24.792] (II) Module fb: vendor="X.Org Foundation"
[    24.803] (II) Loading sub module "exa"
[    24.803] (II) LoadModule: "exa"
[    24.810] (II) Module exa: vendor="X.Org Foundation"
[    24.810] (WW) MALI(0): Initializing EXA Driver! [    24.862] (II) MALI(0): RandR 1.2 enabled, ignore the following RandR disabled message. [    25.169] (**) gpio-keys: Applying InputClass "evdev keyboard catchall"
[    25.169] (II) LoadModule: "evdev"
[    25.177] (II) Module evdev: vendor="X.Org Foundation"
[    25.177] (**) evdev: gpio-keys: Device: "/dev/input/event3"
[    25.177] (**) Option "config_info" "udev:/sys/devices/platform/gpio-keys.0/input/input3/event3"
[    25.177] (**) Option "xkb_rules" "evdev"
[    25.177] (**) Option "xkb_model" "pc105"
[    25.177] (**) Option "xkb_layout" "us"
[    25.179] (**) A4Tech USB Mouse: Applying InputClass "evdev pointer catchall"
[    25.179] (**) evdev: A4Tech USB Mouse: Device: "/dev/input/event2"
[    25.180] (**) Option "config_info" "udev:/sys/devices/platform/s5p-ehci/usb1/1-2/1-2.1/1-2.1.2/1-2.1.2:1.0/input/input2/event2"
[    25.180] (II) evdev: A4Tech USB Mouse: initialized for relative axes. [    25.181] (II) No input driver specified, ignoring this device. [    25.181] (II) This device may have been added with another device file. [    25.182] (**)   USB Keyboard: Applying InputClass "evdev keyboard catchall"
[    25.182] (**) evdev:   USB Keyboard: Device: "/dev/input/event0"
[    25.182] (**) Option "config_info" "udev:/sys/devices/platform/s5p-ehci/usb1/1-2/1-2.2/1-2.2:1.0/input/input0/event0"
[    25.182] (**) Option "xkb_rules" "evdev"
[    25.182] (**) Option "xkb_model" "pc105"
[    25.182] (**) Option "xkb_layout" "us"
[    25.184] (**)   USB Keyboard: Applying InputClass "evdev keyboard catchall"
[    25.184] (**) evdev:   USB Keyboard: Device: "/dev/input/event1"
[    25.184] (**) Option "config_info" "udev:/sys/devices/platform/s5p-ehci/usb1/1-2/1-2.2/1-2.2:1.1/input/input1/event1"
[    25.184] (**) Option "xkb_rules" "evdev"
[    25.184] (**) Option "xkb_model" "pc105"
[    25.184] (**) Option "xkb_layout" "us"
[    25.185] (II) No input driver specified, ignoring this device. [    25.185] (II) This device may have been added with another device file. [    25.186] (II) No input driver specified, ignoring this device. [    25.186] (II) This device may have been added with another device file. [    25.187] (II) No input driver specified, ignoring this device. [    25.187] (II) This device may have been added with another device file. [   104.509] (EE) Please also check the log file at "/var/log/Xorg.0.log" for additional information. [   104.575] (II) UnloadModule: "evdev"
[   104.620] (II) UnloadModule: "evdev"
[   104.660] (II) UnloadModule: "evdev"
[   104.710] (II) UnloadModule: "evdev"
[   104.723] Server terminated with error (1). Closing log file. Looks like some problem with Mali drivers. Zin-Uru wrote: Looks like some problem with Mali drivers. Since your X server crash is related to the Mali drivers, would you mind creating a new thread for your issue? The HK devs will be more likely to respond with a workaround or fix. You may also want to test whether the issue exists on the official Debian Jessie with XBMC and post the results on your new thread. Can I just disable Mali drivers to check my version? Zin-Uru wrote: Can I just disable Mali drivers to check my version? XBMC depends on the Mali drivers for hardware acceleration, but you can test if it works using software decoding. I will keep an eye on your new thread and incorporate any suggested fixes into the Whisper image in a future release. Last edited by robroy on Sun Oct 06, 2013 11:50 am, edited 2 times in total. Thanks! There is no bug after this operation so the problem is with Mali. I'll try Debian later. i checked the folder and there is a readme in there telling that it's some keymapping files and they MIGHT cause problems if you copy them from one machine to another. Also i noticed you're installing xtightvncserver or something? I'd advice you to use vino, which is IMHO the best VNC server for Linux so far. If you don't know how to set it up, please say so, i can explain it quickly. meveric, thank you for your help but moving .xkm files didn't work. Still have drop to the login screen when try to use xtightvncviewer (I need only client on ODROID). But other important functions work well so I still use this image. I like it. But other important functions work well so I still use this image.I like it. I too. But XBMC is more important. if it's not installed. That one comes with an VNC and a RDP client and works just fine. meveric, thank you! But it drops too. Not at start but still unusable. Zin-Uru wrote: meveric, thank you! But it drops too. Not at start but still unusable. Out of curiosity, did you go with Metacity because of problems with OpenBox? I was working on the XFCE image before this one and noticed that the minimize/maximize/close icons are all wrong (they show up as pause/stop looking buttons instead). It looks like Whisper does the same thing if you change the window manager to OpenBox. I tried to fix OpenBox for a few days on the XFCE based image (XFCE removed and LXDE installed), but could never to get the icons back to normal. Also, I noticed that when using lightdm on that image, the login screen often doesn't display. Is that why you went with autologin? murrman wrote: Out of curiosity, did you go with Metacity because of problems with OpenBox? I was working on the XFCE image before this one and noticed that the minimize/maximize/close icons are all wrong (they show up as pause/stop looking buttons instead). It looks like Whisper does the same thing if you change the window manager to OpenBox. Yes, metacity was the most lightweight way to update the window decorations to more recognizable icons. I think those icons are just supposed to be like that: simple and minimal. It looks like OpenBox reuses the font library for the corner icons to keep from having to load image files, which makes sense for memory purposes. The sparseness of OpenBox reflects its purpose, which is really intended as a base for building an embedded system, and not a full desktop environment in itself. On session start, Metacity steps in and takes over perfectly to create attractive window decorations in place of the generic OpenBox placeholders. Autologin was a highly requested feature on Dream Machine. I was also trying to get the image to show a desktop in under 15 seconds and autologin gets it to 14. Btw, Whisper uses gdm which loads faster than lightdm. I also tried xdm and nodm which both work well, except that nodm lacks reboot/shutdown options, but gdm has a unique look that I like. I've seen lightdm fail to load on my Dream Machine images when there is disk corruption from dd'ing the image a little short. The only problem for me was getting pcmanfm to support drag-n-drop and show Samba shares. I also don't like the default LXDE file manager icons (many of them are purposely missing), and so the next release will feature Thunar file manager running on xfdesktop as well as a more attractive Ubuntu Studio-based icon set in the file manager. Want to upgrade your existing Whisper image? PCManFM does not support network shares or drag-n-drop, and replacing it with Thunar restores those functions. More here under "LXDE/XFCE hybrid": http://askubuntu.com/questions/73017/th ... -11-10-how. 2. Right-click the bottom Panel and select "Panel Settings", then change the default file manager to "thunar %s" from "pcmanfm %s". 3. Right-click the Application Launcher and select "Application Launcher Settings", then add Terminal Emulator and File Manager to the Launcher after removing PCManFM. 4. Edit the file "~/.config/lxsession/LXDE/autostart" and add an exclamation point "!" to the beginning of the line that starts with "@pcmanfm". 6. Using the Settings -> Customize Look and Feel application, change the icon theme to Ubuntu Studio. Last edited by robroy on Mon Nov 18, 2013 3:01 pm, edited 1 time in total. I created a patch for Dream Machine and Whisper that restores the 9/1/2013 build of XBMC, which eliminates the pops and clicks of the audio as well as some of the playback problems. Please keep in mind that only the Android version of XBMC delivers smooth playback at all resolutions. There will be some 720p and many 1080p videos that do not play well in the Linux version. XBMC also offers a hardware-accelerated Youtube plugin, which is a great improvement over the software-decoded browser versions. If you have any improvements or suggestions for improving the Odroid Linux build of XBMC 12.2, please direct your comments to the official XBMC thread: http://forum.odroid.com/viewtopic.php?f=54&t=1244. For developers, the official Odroid XBMC 12.2 repository may be found here: https://github.com/mdrjr/xbmc/. Want to update to the latest version of XBMC? Last edited by robroy on Mon Nov 18, 2013 3:02 pm, edited 2 times in total. Gparted was temporarily removed because of a segmentation fault when started. If you find a workaround for this issue, please reply to this thread. Hello! Is drop to login screen issue fixed now? Did you test? Zin-Uru wrote: Hello! Is drop to login screen issue fixed now? Did you test? From what I've seen, the image is very stable. However, make sure to test your local copy as well to see if anything that you would normally do that crashes the -X server still happens. If you can reproduce it, please post back. robroyhall, VNC clients work now great in 13.04. No drop to login screen. Great. Zin-Uru wrote: robroyhall, VNC clients work now great in 13.04. No drop to login screen. Great. Last edited by robroy on Mon Nov 18, 2013 3:04 pm, edited 1 time in total. I post upgrade instructions for each release, so you can review the thread backwards and look for my notes. If you want the HDMI framebuffer console, use the http://builder.mdrjr.net/tools/kernel-update.sh script to install Kernel 3.8.13.12.